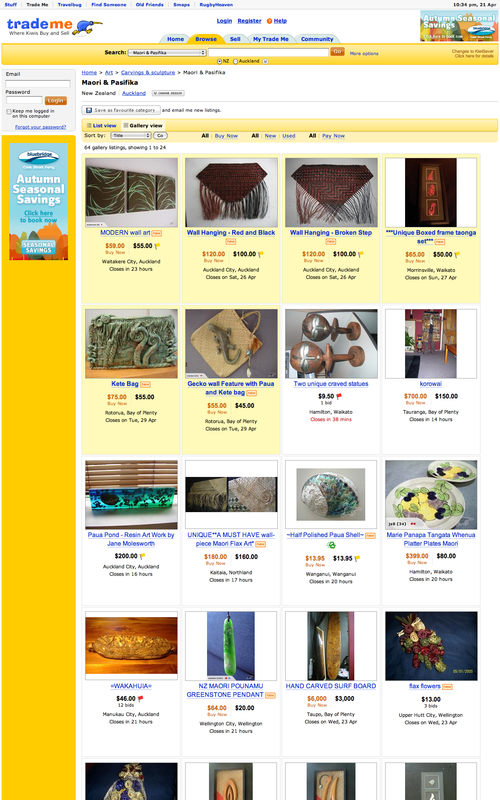 I think the category pages are one of the most important pages on TradeMe, and to me, they havn’t ‘nailed’ the interface, which TradeMe (in the past) has usually been great at doing. I usually love change, but the new look (in my opinion) is quite ugly. It just doesn’t fit in with the rest of the TradeMe look. They’ve used Arial font which is not as user friendly as Verdana and the cellpadding on the listings is too high – making it hard to browse lots of listings. 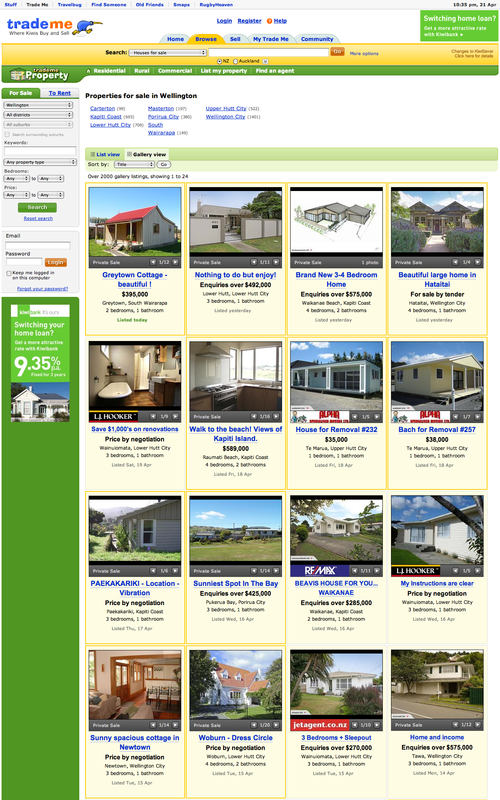 Does anyone know if TradeMe has new web designers? Because I’ve noticed the new features in the last few months seem to look a lot different now (not as pretty and almost rushed looking) which is a shame. On the good side of things, I sell on Trade Me as a regualr and I have noticed my page views have increased (since the change) which is fantastic! @auctionitis – I haven’t sold for a while and I noticed that some items are now being charged for (auction end dates and start not equalling reserve) – not sure why that is. But i like the larger images – font doesn’t quite work for me and neither do the flags without the outlines.